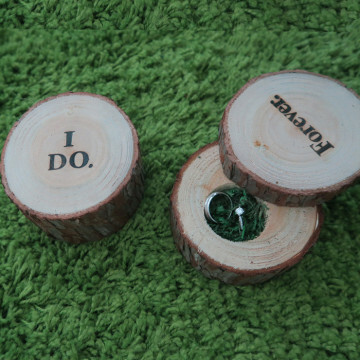 Rustic Ring Bearer for your wedding day or ideal for wedding gift. Unlike any other ring holder, this unique bird nest is the perfect piece to carry down the aisle or as Wedding or Home decoration. Twigs, bird eggs and the greens make up this enchanting ring holder that your ring bearer and guests are sure to love. It measures 12cm in diameter.